These socks are 'turtle-y" awesome! 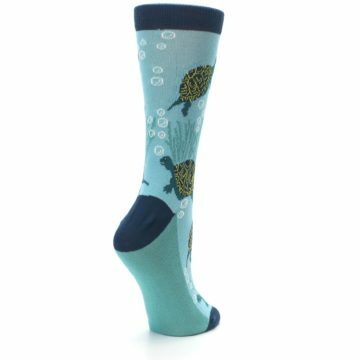 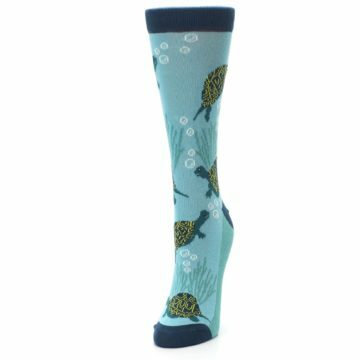 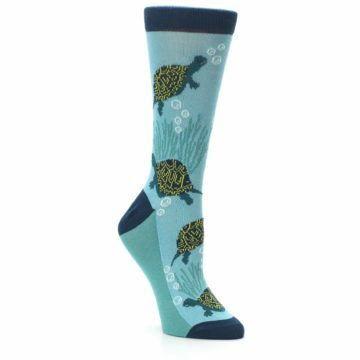 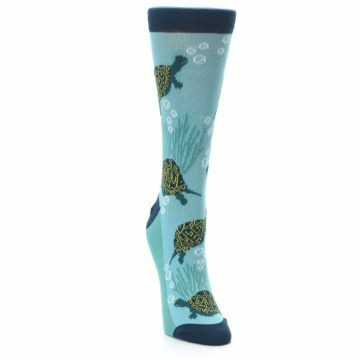 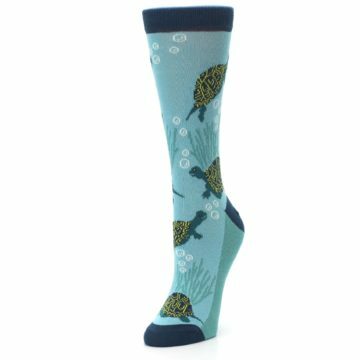 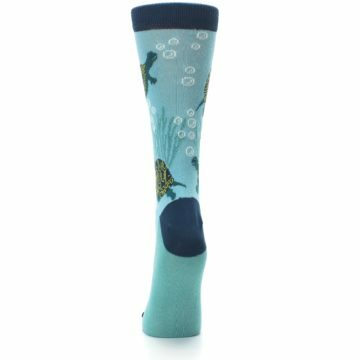 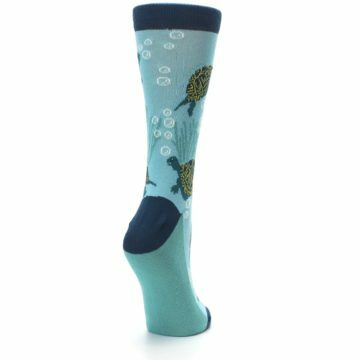 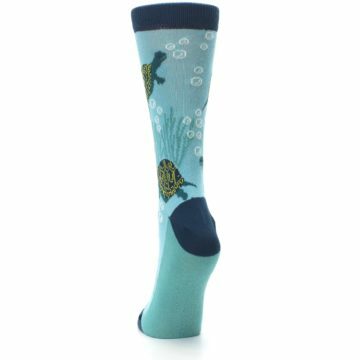 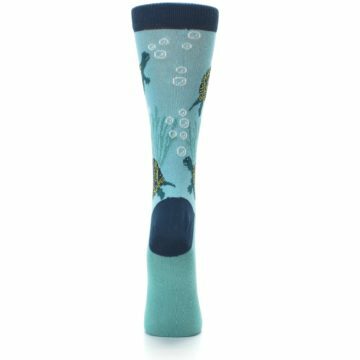 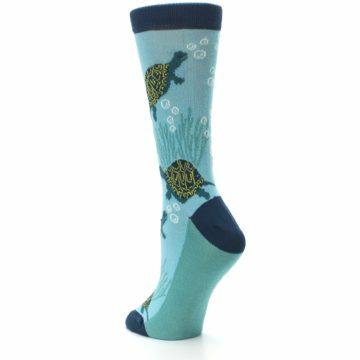 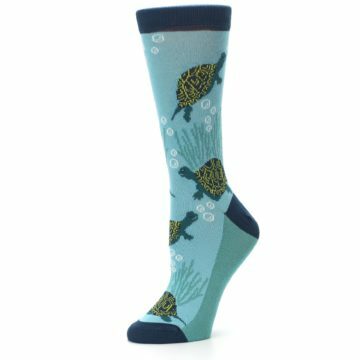 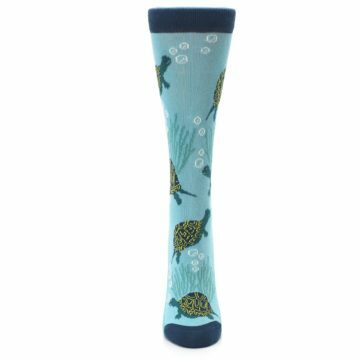 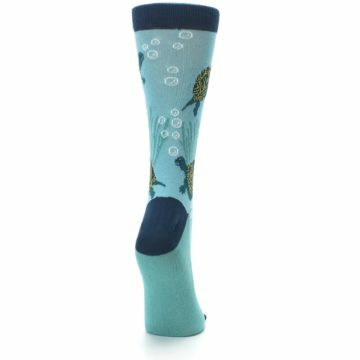 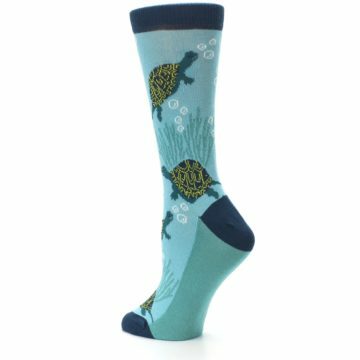 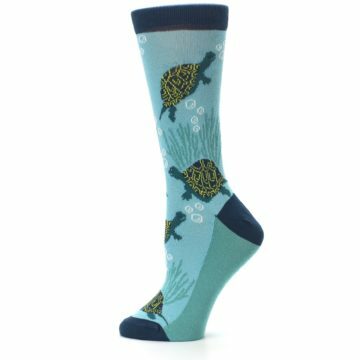 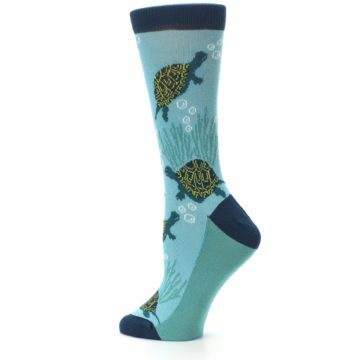 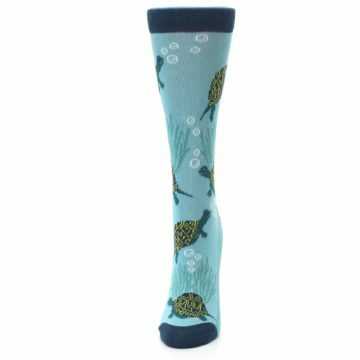 Try our wild aqua and navy turtles women's dress socks. 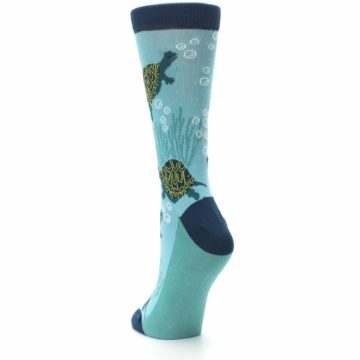 Made with 75% combed cotton and everyday thickness, have fun exploring the waters with awesome turtles that let you express your bold style, while also feeling bold comfort! 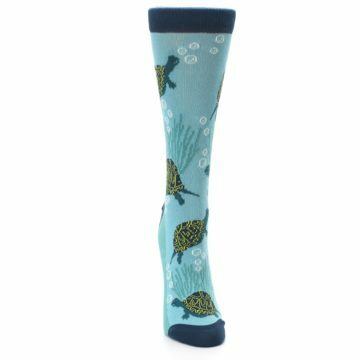 There are not yet any reviews for Aqua Navy Turtles Women's Dress Socks.